"In our 15 years of bestowing beauty awards, we've seen (and tried) tens of thousands of lipsticks, lotions, scents and polishes. Here... the best of the best." "When we can't see our colorist, we camouflage grays with the ColorMark wand." "Tinted touch-up sticks may temporarily cover up roots, but most leave behind a residue. Not so ColorMark, a liquid hair color. Just dab it on... and roots are gone." "I tried ColorMark for the first time yesterday and am thrilled with the result. I'm 45, and started going grey in my late 20s. When my roots come in around my temple and part, it's all white now. I ordered the Light Brown ColorMark and it camoflauged it perfectly. There was no tell-tale line between it and my permanent hair color. What a relief to not have to haul out the chemicals every two weeks. I'll be stocking up and recommending ColorMark to all my prematurely grey friends. I rarely bother to write manufacturers about great products, but this one marks a huge change for me. I was considering just "going grey" because the maintenance was such a hassle. But this simplifies the process!" 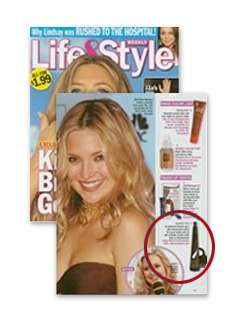 "Wands of temporary liquid hair color that seamlessly hides gray roots when we are too busy for a touch up." "Problem: The gray is coming in, and you've got no time for a permanent touch-up." "Solution: ColorMark... adheres to hair like professional dye, allowing you to brush and blow-dry normally between washings." "Cover gray properly. When covering up any newly sprouted gray roots, be mindful that you don't drag the color past your regrowth... overlapping your color leads to dark bands around the face... that can be aging." "I just used your product for the first time and am totally impressed... wow, it really works!! I am telling all my friends about your product, it is the best. Thanks so much for offering ColorMark, you rule." "I just want you to know how happy I am with your product. For years I have been searching for a perfect solution to cover my gray roots. I've tried so many products but nothing worked like your ColorMark. It covers gray completely and looks amazingly natural. Thank you again...I plan to keep on ordering your remarkable product." "I'm two months pregnant. Is it safe to color my hair?" 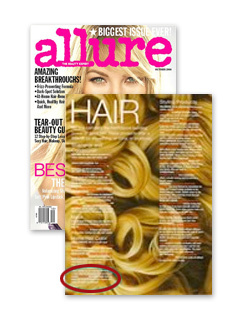 "Try a color wand like ColorMark, a tube filled with ammonia and peroxide-free color. ColorMark is a smart and safe beauty buy." "The colorist can't fit you in until when? 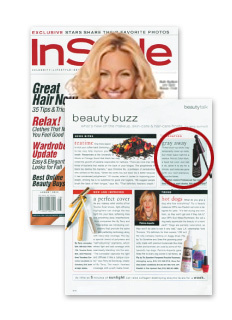 Cover those grays with ColorMark temporary hair color... in the interim. It comes in twelve natural-looking shades and shampoos right out." "Hi...I don't usually write to companies but I had to write to you to say how much I love your ColorMark product. I've used every product on the market to cover my gray between colorings and they make my hair stiff and unmanageable. I was buying one of these terrible products when I noticed yours. The price was much higher so I hesitated but then I did buy the ash blonde. I can't believe how wonderful it is. It goes on very easy and more important I love the way it feels. You should be very proud of such a great product and I am now a devoted fan... I can't thank you enough!" 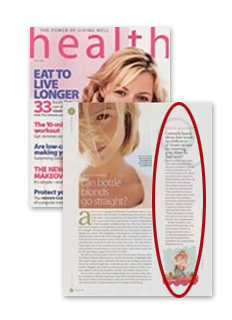 "I didn't have time to dye my roots before Thanksgiving and ColorMark saved the day. The color worked perfectly and I am thrilled." 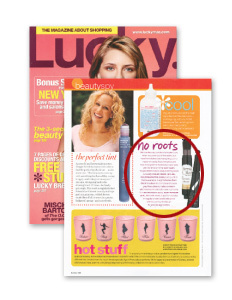 "Cover roots with ColorMark, a dye that hides growing-in gray during that week or two before your next appointment." "We like ColorMark's new Instant Professional Hair Color for Gray Roots. 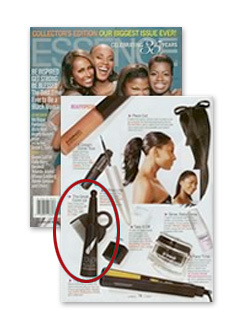 Its sponge-tip wand is easy to use." "What a great idea and it's about time somebody invented such an item. The other products on the market are lousy and drip, streak, smell or look fake." 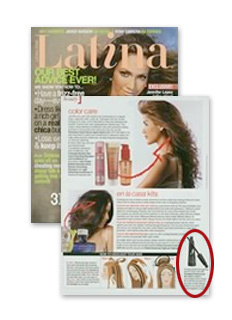 "An instant liquid haircoloring tool that covers gray roots, prolonging the look of freshly colored hair." "As a hair color professional ColorMark offers me a unique product. I can now apply my clients color at the salon, and when their gray begins to show after the second week, they can apply ColorMark at home and keep the color I create at the salon looking perfect until the next color appointment." "Just want to let you know how I can't live without your ColorMark. Love it, love it, love it. And have recommended it to many friends." "No time for a dye job but in desperate need of a touch-up? There's a new (better) remedy for this age-old problem: ColorMark... Unlike hair mascara, this tool uses liquid color and comes in eight shades, so it blends in naturally. 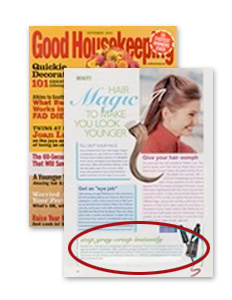 In a Good Housekeeping Institute test, volunteers loved the quick results and ease of use." "Erases stray grays with one sweep. ColorMark." "Three cheers! What a brainstorm you had, and how fabulous that the idea translated so perfectly into such a neat and effective product. I Do, I Do, I Do LOVE ColorMark! I think I called just about everyone I know after I tried it for the first time and informed them that the wheel had just been re-invented and they had to try this! 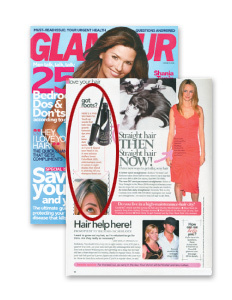 ColorMark is an amazing innovation, a great time and money saver, and this girl's best friend." "A friend gave me your product which she purchased at a salon. I think it is an incredible solution to cover up gray roots. I use it regularly with confidence because it looks so natural. Thank you for developing it!" "Is your gray growing back in? Cover gray roots with ColorMark." "Overdue for a covering of gray but having difficulty getting to the salon? Buy some time with an emergency kit. 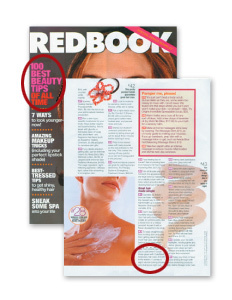 We like ColorMark, a quick-fix toucher-upper that won't wash out until you shampoo. 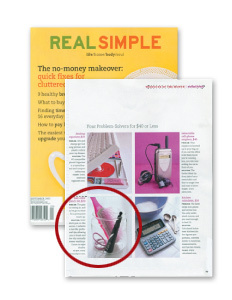 It's easy to put on with a precision no-drip soft-tip applicator." "What a fantastic product! It actually does what it claims to do. Not too many products do that today. It covers the grey beautifully — for those times when you just can't make it to the hairdresser and you need a quick, "unnoticeable"cover-up. It goes on easily and looks great! Then it washes out without a trace. Safe, easy to use & looks great. What could be better? And now that it is available in Canada — it can't get any better than that! 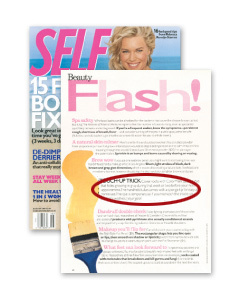 I feel it is definitely one of the best products I can use to “feel good about myself." It is a "god send" for a bad hair day. "My husband has started using my ColorMark on his grey beard... it works wonderfully." "In between touch-ups, this temporary color for gray roots sets in one minute." Allure tested thousands of beauty products to find the "182 undisputed champions." "ColorMark is a tinted liquid that you paint over grays. It doesn't get crunchy and rinses out when you shampoo." "Here's a five-second fix: Touch-up wands that hide new growth between dye jobs." "Just wanted to let you know your product is excellent, and I am truly satisfied. 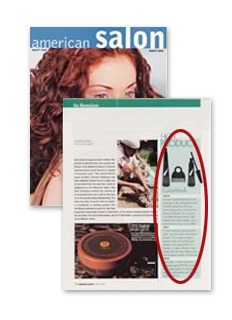 Prior to discovering your product in a magazine, I was using another product. 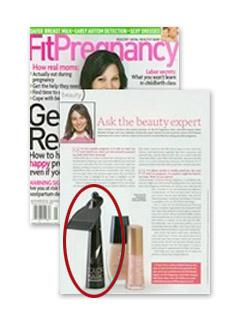 From now on I will use ColorMark because of better and easier coverage." "My hairdresser just started carrying your product, which has made me quite happy. I've been waiting for this type of coloring for years. Thank you again for developing this necessary in between coloring." "We love the way just-done haircolor looks when we come out of the salon, but hate the telltale roots that spring up in a matter of weeks. 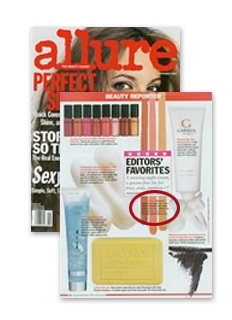 ColorMark is a liquid tint that is available in twelve shades... and covers gray like a dream." 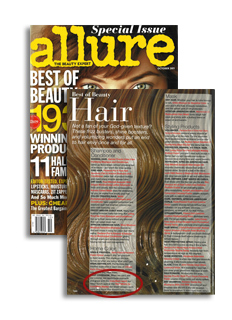 "Are your gray roots starting to show, but weeks pass before you have time to color your hair? Let ColorMark rescue your gray roots... It completely covers your roots until you shampoo your hair." "Your product is absolutely wonderful. 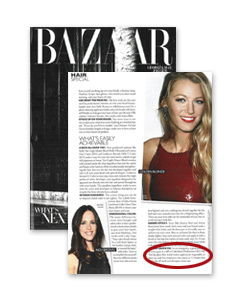 I recommend ColorMark to all of my friends." "I absolutely love your product and can not survive without it!! Before discovering ColorMark, I used mascara to cover my roots and it was just awful. It was gooey and made my hair feel dirty. Your product feels and looks so good."